Finally, Jordan Brand announced the release date of one of the most anticipated editions of the Air Jordan 8 Retro. 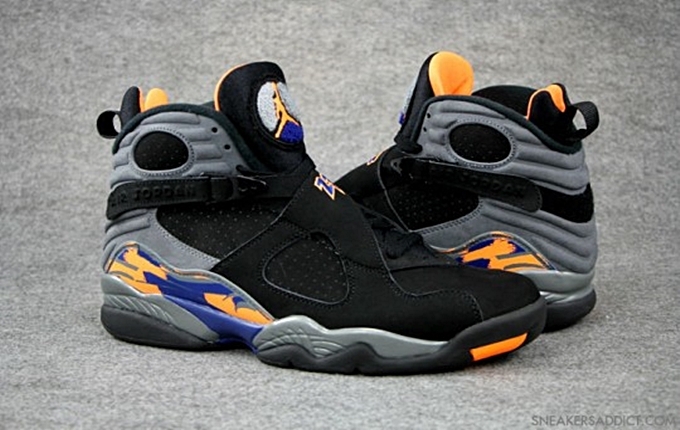 The Air Jordan 8 Retro “Phoenix Suns” will be released in the market on May 18. This special kick was named after the Phoenix Suns because it played a significant role in the career of Michael Jordan for being one of the teams that they defeated in the Chicago Bulls third title run. The shoe sports a black nubuck upper with cool grey areas along with orange and blue touches a la Phoenix Suns team colors. Make sure to check this kick out next month!